Purpose: This paper aims to contribute to the business literature by identifying challenges that hinder Small and Medium Enterprises (SMEs) to go global. Design/methodology/approach: This study presents a model that shows the effect of different factors on globalisation of SMEs. Findings: The paper demonstrates several challenges facing SMEs to go global such as lack of technology and information, cultural and social differences, regulations and legal environment and marketing products internationally. Research limitations/Implications: There are areas which need more investigation such as expansion in study factors, using larger sample and conducting in-depth research interviews. Findings: The paper demonstrates several challenges facing SMEs to go global such as lack of technology and information, cultural and social differences, regulations and legal environment and marketing products internationally. Research limitations/Implications: There are areas which need more investigation such as expansion in study factors, using larger sample and conducting in-depth research interviews. Practical Implications: The paper can help SMEs’ owners and managers to go global, design new programs, and enhance human competencies taking into account the importance of dealing with diverse cultures for business success. 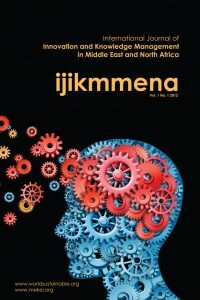 Originality/value: Although several papers have discussed SMEs’ globalisation around the world, there has been little research focusing on factors and challenges that affect SMEs, particularly in the Middle East. Our study discusses important issues and suggests more research in this area.